If you are longing for a hearty vegetarian meal, this Potato Stew with Fried Onions is a must in your pack or bag. Crisp roasted onions are what give this dish its special pizzazz. Potatoes and soya ensure that not only are tastebuds satisfied but your hunger is satiated too. 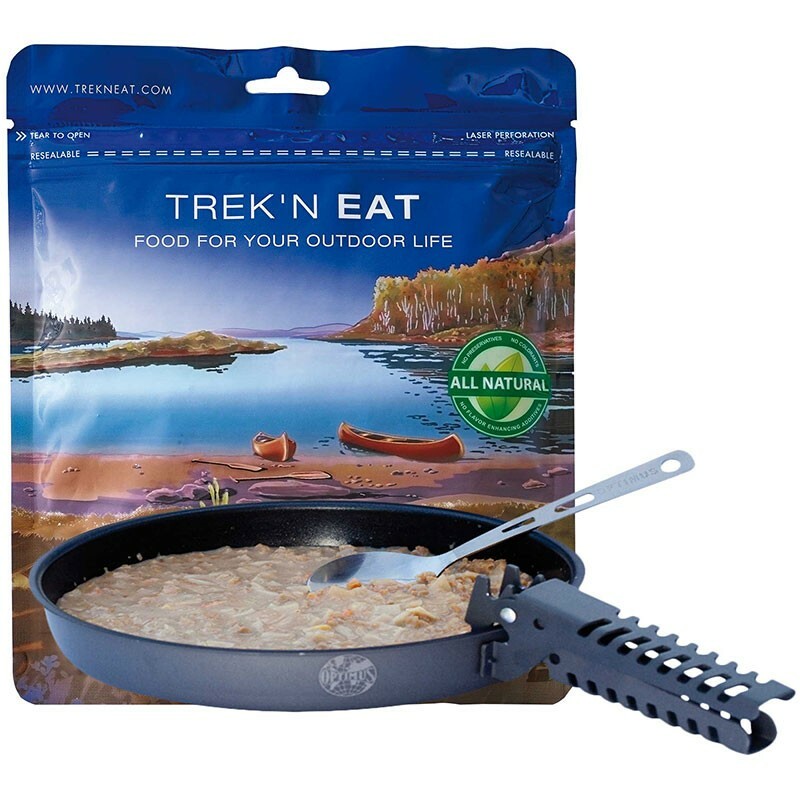 Trek’n Eat meals are unique freeze-dried foods that can be prepared with water. Perfect for any time when proper meals are required but time, space and ingredients are at a premium. Preparation is simple: just add boiling water, stir, leave to soak for 8 - 10 minutes and the meal is ready. All meals are created with quality freeze-dried ingredients, a process which helps to preserve most of the food‘s natural vitamins and minerals, and few flavour enhancers and flavourings. Trek’n Eat foods have a high calorie count and are packaged in waterproof, expedition-ready containers with rounded corners to prevent punctures. Trek'n Eat Potato Stew with Fried Onions contains contains Gluten, Lactose, Milk, Celery and Soy. Vegetarian.